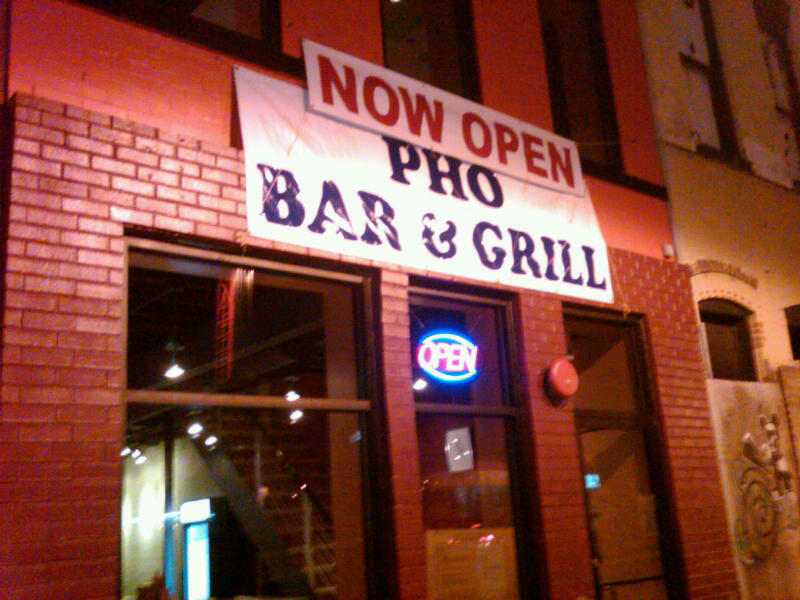 It may have taken awhile (we were inaccurately told they would open months ago) and there may still be a few kinks (they still can’t serve alcohol because of a delay with their liquor license application), but Pho Bar and Grill on H Street (1360 H Street NE) has finally opened. The restaurant is located on the east end of H Street near the fairly recently opened Shawafel and across from popular bars like the Rock N Roll Hotel and H Street Country Club. It serves a variety of Vietnamese dishes but focuses on pho (a traditional Vietnamese soup that usually features broth, a type of meat, noodles, and a variety of other ingredients ranging from basil to lime to hot sauce to bean sprouts).